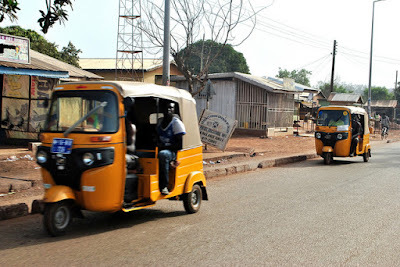 The dramatic intervention of a commercial tricycle transport operator, Mr. James Okorie, foiled the planned sale of two-month-old triplets at the popular Abacha Roundabout in Abakaliki, Ebonyi state on Thursday. Okoye, a ‘Peace Corps’ officer told Orient Weekend that he was attracted to the scene when someone, identified as Ezinwanne Chukwu, raised alarm that she recognised one of the women try­ing to take the triplets as Gloria Ekan who was previously arrested over baby theft in Enugu state. According to him, the suspect, who hails from Cross River state, was with the mother of the trip­lets, simply identified as Ifeoma, and they were concluding plans to escape with the triplets when he (Okoye) arrived the scene. “I was at the roundabout loading my Keke when I saw a group of people behind me arguing. When I inquired what was happening, they told me one woman was carrying someone’s baby. “Initially, I ignored it but when I later saw another crowd of people also arguing over the matter, I de­cided to discharge my passengers. I heard people saying that Gloria was sometime arrested in Enugu state over buying and selling of babies. “When I asked, the lady (Ezinwanne Chukwu) said she knew the woman Gloria Ekan from Enugu state where she was arrested trying to sell somebody’s child. She said that ‘Gloria was said to be beaten and sent away from that street. Now, she was seen here at meat market with two babies’. “The lady said when she tried to know what was going on, Gloria tried running away. It was at this point that I stopped the woman and asked her if the baby belonged to her and she said ‘no’, that the child belonged to the other woman. “I brought out my identity card as a ‘Peace Corps’ officer and told them that I will take them in my tricycle to police station. When we got to the police station, in the process of interrogation, the owner of the triplets claimed that she met Gloria in Anambra state. But when Gloria was asked where she met the woman, she claimed it was at Ezzangbo in Ebonyi state. “Gloria claimed she met the woman at Ezzangbo when she was two months pregnant and that she had been helping her un­til she gave birth. From the way she was talking, we suspected she was lying. And upon further interrogation, she admitted she was into the business of buying and selling children. However, a new twist emerged when the mother of the triplets claimed that she paid the suspect­ed child trafficker, Gloria, the sum of N1,000 on daily basis and about N30,000 monthly. When the police asked about her occupation, she said she was a beggar and that after begging, she used to pay Gloria the said amount. The matter would go through proper police investination.